Anthony Royster is on top of the world – literally as an iron worker stationed on the Verrazano Bridge, and figuratively with a happy and loving family at home – but it wasn’t always this way. Anthony grew up in a single-parent home in Wyandanch, with an older sister and two younger brothers where physical and mental abuse was commonplace. Without positive role models in his life, he searched for an escape, but was led down the wrong path where he was later arrested and incarcerated. Upon his release, Anthony realized he needed to turn his life around. He had heard about United Way of Long Island’s YouthBuild program from a cousin who had participated and successfully graduated, and the timing couldn’t have been better. In an effort to build a better life for himself, as well as his soon-to-be-born daughter, he decided to take a positive step and enroll. “I wanted to do something with myself, and become the man I always knew I should be,” Anthony explained. With a new found sense of self and determination, Anthony completed the program in December of 2014, and graduated in June of 2015 when he earned his GED. It took four attempts to reach this milestone goal, but his experience in YouthBuild taught him the importance of perseverance, and he never gave up. As a single father raising his young daughter, Anthony moved to North Carolina in April of 2015 and worked alongside his grandfather at a cab stand. This opportunity, along with his learnings from YouthBuild, put into practice the value of hard work and what comes with having a steady and reliable job. He moved back to New York that September, when he learned about United Way partner organization Opportunities Long Island, an intensive pre-apprenticeship training program that provides direct-entry into the local union. 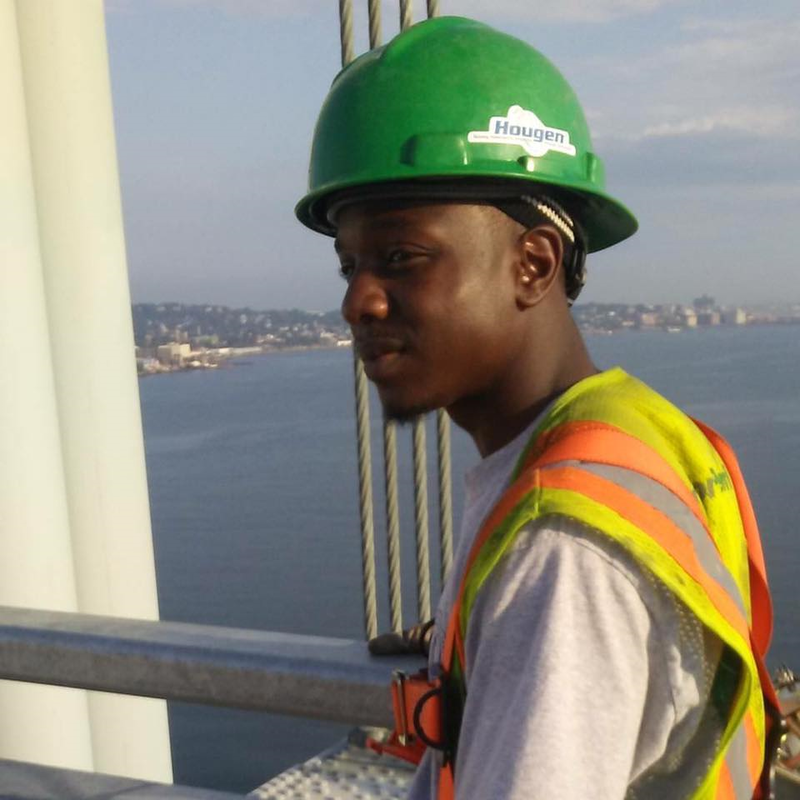 He completed his training program and graduated in April, quickly securing a new career working as an iron worker apprentice for Local 361 Union Structural Iron workers on the Verrazano Bridge. These days, Anthony’s life is full of promise. He comes home each day to his wife Nadia, her daughter Laila and his daughter Mia who are both two years old and the best of friends. He has ambitions to further his education, own his own business and buy a home for his family. Anthony may work with iron and steel, but with his heart of gold the possibilities are endless. Starting Anew at Age 82! I love to hear positive stories like this one .Congratulations to Anthony…. Thanks Camille – and we love sharing them!